Welcome to the TEF Gauging Ltd website! We undertake Railway Gauging consultancy work. See the other tabs for details. DRS Class 88 being delivered at Workington DocksClass 88 No. 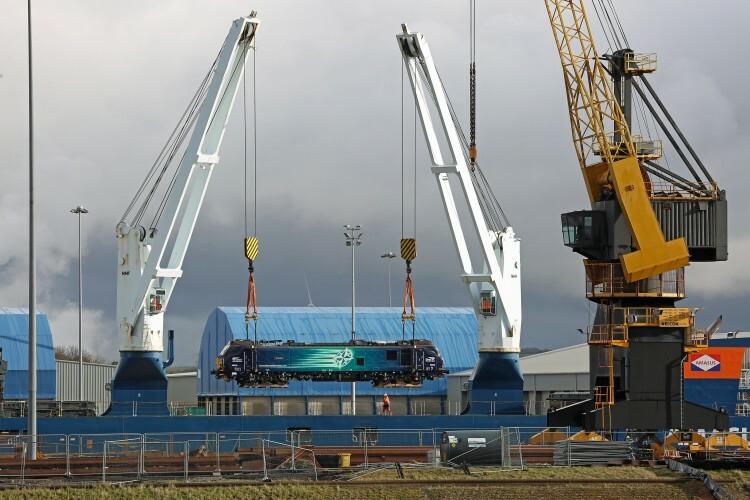 88008 'Ariadne' being hoisted up out of the Eemslift Nelli prior to be lowered onto the docks on 1st March 2017 at Workington. 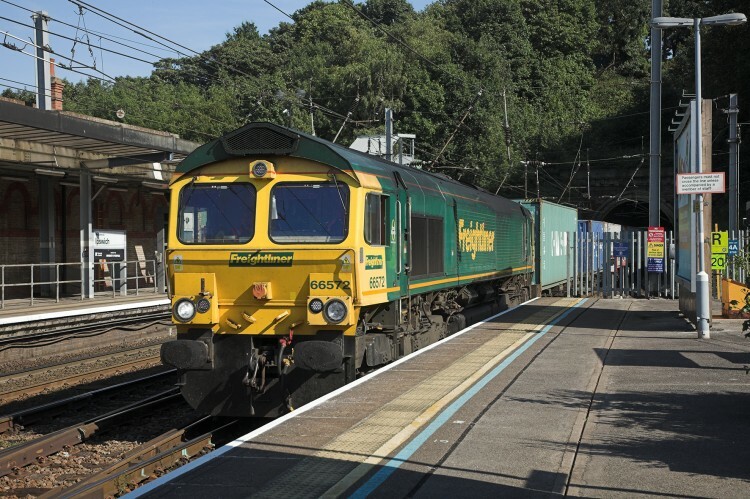 This was one of a batch of five class 88 being delivered to DRS. The Class 88 is the electric version of the Class 68. Slab Track has been installed (twice) in Ipswich Tunnel to clear for W10 gauge and allow the 9'6" high container immediately behind the loco to be carried. © 2017. TEF Gauging Ltd. All Rights Reserved.